THE RIGHT SKILLS ARE MAKING A COMEBACK! First we got word that cursive writing was making a comeback, a few years ago. Then, the ‘hype’ of bringing back schools to teach auto shop, and other blue collar skills. 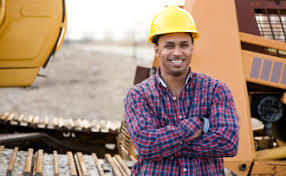 Next, the reports of ‘doom and gloom’ over the shortages of men involved in the trades of plumbing, HVAC, and other hands-on, big money skills. Finally, a cry has gone up for young people to be trained in consumer finances. What goes on here? Seems that the ‘social engineers’, in their quest to create a feminine utopia, forgot that it STILL takes men getting their hands dirty; doing the dangerous jobs to keep a society going–and advancing. Stuff that had been commonly taught to my generation (in, of all places, public schools) is being ‘re-discovered’. The one ‘trigger word’ that this ‘feminized’ society forgot to take into consideration was ‘blue collar’. Yep…the brothers that came home from work to their wives and children–dirt and grease under their fingernails and all–are who BUILT America. Sure, the guys sitting behind a desk with pencils and balance sheets are important…but it is the working man who built this country, provided a steady household, and provided for his family and local church. For those who like to throw shots at the ‘Blue Collar’ brothers, remember one thing: many of us wouldn’t be here, if it wasn’t for their sacrifice. Ignore them at your own risk; insult them at your own peril. The last election should give many a clue as to my previous statement. RISE OF THE ‘SHILL KIDS’–REVISITED! What’s a ‘Shill Kid’? The Ramey definition: A juvenile, taught/trained by an adult to create a desired ‘effect’ before a camera, a crowd, or an audience for money, fame, or political/social/economic influence. You’ve seen them on your local news shows; on YouTube, on Facebook, and other places. Of course, the responses usually range from ‘How cute’, to ‘That parent should be locked up’! Nevertheless, as the trend has expanded thanks to the rise of video technology, anyplace you can raise a flash mob, you’ll have Shill Kids putting on a show. Hate to break it to those Shill Kids who are under the age of 18 who have YET to earn a high school diploma, but say it I will. Until you GRADUATE with a high school diploma, are WORKING, PAYING TAXES and are REGISTERED and VOTING, your little protests are JUST that…little protests. You have no skin in the game, and are being easily swayed by your parents and the celebrity underground. Fifteen minutes of fame, and a life-long video record that will be brought up at most anytime some one (or a group of some ones) want to put you on their leash. One of the things that marks the TRUE Christian religion from others is that there is this beautiful arena called ‘Bible Prophecy’. From time to time, as a student of Bible Prophecy, I’ll ‘point out’ some markers in the news that clearly illustrate that the KJV Bible is on target, concerning the Rapture of the Saints AND the imminent return of Jesus Christ. The rise of the Shill Kids is just a portion of the Book of Isaiah coming to pass, whereby God decreases the numbers of godly, true men in a society, and allows the preeminence of children and women because of the disobedience of a nation–or nations–in their forgetting God (Isaiah, Chapter 3, KJV). NO other religion examines Bible Prophecy. It comes FROM the true Christian religion. By the way, Jesus Christ IS the spirit of prophecy (Revelation 19:10 KJV). The ‘mainstream mess’ is really quite interesting when it comes to Black men. In some commercials and television shows, we are invisible. In others, we are portrayed as ‘pimps, players and thugs’. In still others, we are portrayed as drag queens and sodomites (homosexuals). In other instances, we can be minding our own business and get rousted by some cops (Et tu, Starbucks?). What is truly sad? This has been going on since the invention of mass communications. No matter how much progress we have fought for in society, Blacks and whites–male and female–who want to ‘make a buck’ are quick to disrespect Black men. To those Black men who think that they have to have an acting career at the expense of their race, let me school you. Your race will be around a lot longer than your career. ‘God don’t like ugly, and ain’t too thrilled with pretty’ is more than a saying from the Old School…it is truth! If you have to put on a dress, or walk with lipstick and heels, brother, to make a dollar, take a good look in the mirror! Not only are you mocking God, you are disrespecting your family AND your race. I’ve been getting some great responses to this segment, and there is more on the way. Let’s examine the Adulterous woman as she is uncovered in Proverbs 30:20. This sister is married, and likes to hunt for married OR single men. She likes to ply her trade without fear or favor, plus–once she has accomplished her objective–she maintains that she has done nothing wrong. Of course, God sees it differently. The shattering of marriage vows is something that he takes VERY seriously. That’s why adultery is listed at the top of the list of sexual sins. Brothers–especially you young men of school age–don’t fall for this sister’s trap. She likes to hunt for prey where she lives, where she works, and where she worships. Brothers, see you next month for more training! *Thought for the Month: A five percent ANNUAL tax on ALL pro-sports franchises, payable DIRECTLY to the Education Fund of EACH state, to be used for teacher salaries and supplies! Of course, we KNOW who is responsible for mismanagement of public school funds, right? The STATES and SCHOOL DISTRICTS themselves! Related tags : Mike RameyThe Manhoodline Live! Hey Buddy!, I found this information for you: "The Manhood Line Live!™ by Mike Ramey: The Right Skills Are Making A Comeback!". Here is the website link: https://blackmeninamerica.com/the-manhood-line-live-by-mike-ramey-4/. Thank you.